Just about every bathroom remodel we do here at Powell Construction starts with someone telling us that they don’t like their old-school shower/tub combo. We understand that. For many people, the bathtubs aren’t quite large enough for long, relaxing soaks and the style of shower makes it feel outdated. 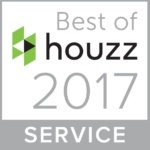 To top it off, they can be difficult for some people to use – homeowner’s wanting to age in place or people with limited mobility. 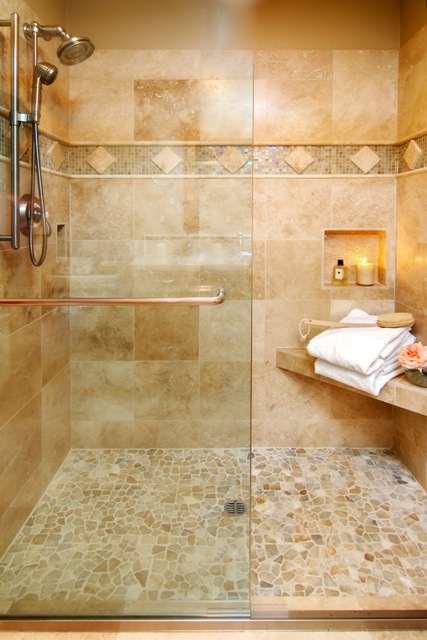 Usually, clients ask us to forego the tub altogether and just give them an updated shower, which we happily do. But what style of shower can you use? Traditional shower/tub combos were created to save space, but more and more people decide they don’t need the tub part of it. Adding a rectangular shower enclosure in the same space as your old combination fixture can be surprisingly easy. 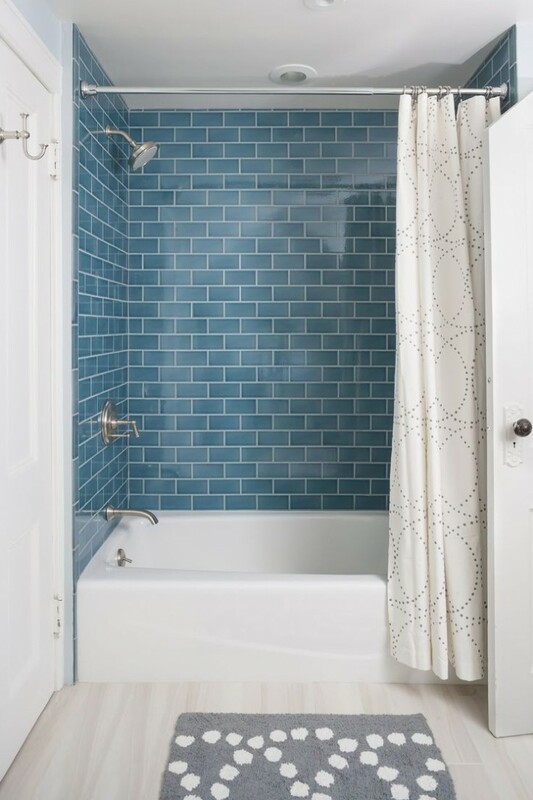 You can make it as simple as just removing the tub and replacing it with a shower pan and glass door, or go all the way on an intricate tile shower. Once thought to be a less glamorous style of shower, corner style showers are often the easiest to fit into an already existing space. They can be fairly easily custom fit to an already existing corner, and the glass shower doors can be anything from a classic, angled outward swinging door to a sleek, modern curved enclosure. 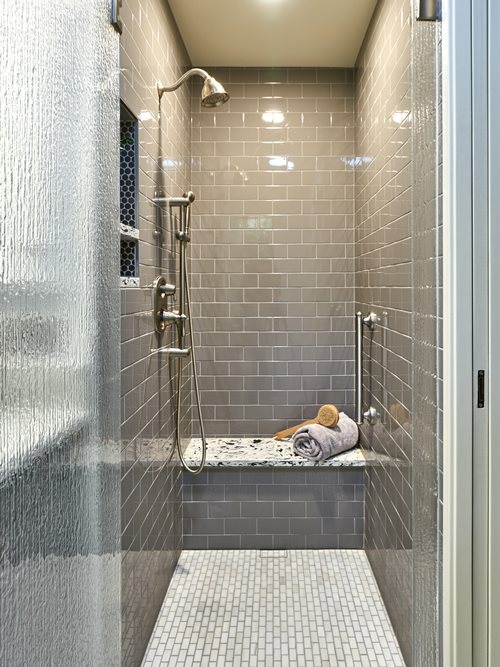 Walk-in showers have quickly become the “it” item for new bathrooms. Essentially, what this means is that the shower floor has no distinct separation from the rest of the bathroom floor. Strategically placed drains allow a completely seamless, curb-free transition from shower to the rest of the bathroom. 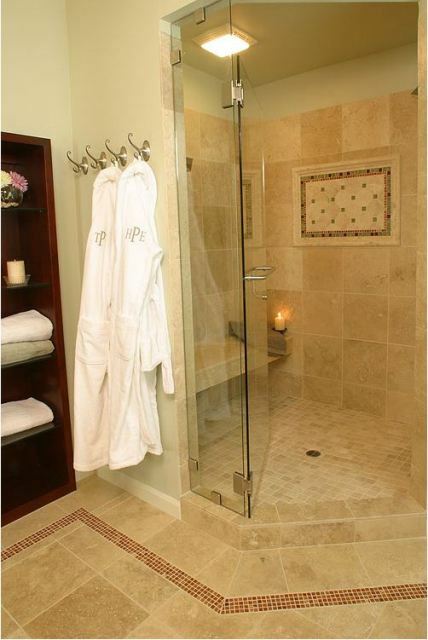 In most cases, these showers can be placed anywhere you’d normally place another type of shower. The one key difference is you don’t have the option to save money with a shower pan or fiberglass unit – to really achieve that seamless look, it should be tiled throughout. For the shower pictured below, we did remove a wall and utilize the space from a hallway closet in the remodeled shower. For those that still want to keep their tub and don’t have a lot of space to do a completely separate shower and bathtub, there are still options. Choosing a more modern-looking alcove tub with a tile wall can give your bathroom a much needed updated look without changing the way you use the space much at all. Updating your shower is one of the most significant changes you can make to your bathroom. You can often do it without changing where the shower is located at all, or you can go all out and gut everything to start from scratch. Either way, a shower update is often the thing that brings a bathroom to life.